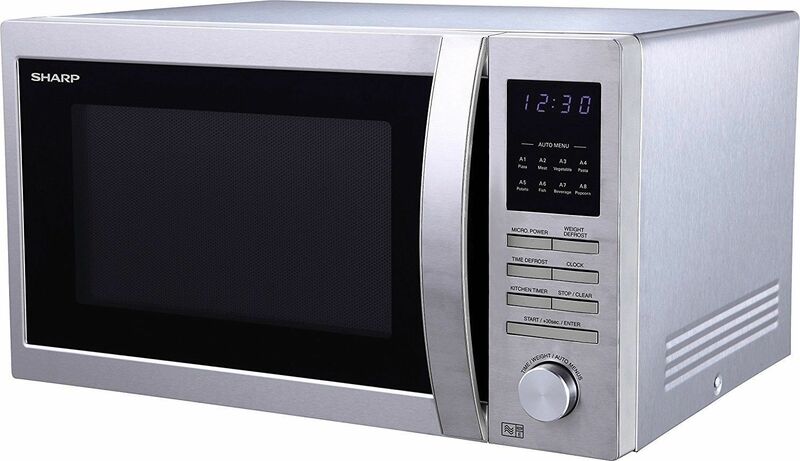 The Sharp R322STM is a premium quality microwave with a robust stainless steel finish. Both stylish and practical, particular attention has been made to the sleek design of controls and traditional side opening handle. The large easy to read LED display, kitchen timer and 8 auto cook menus make this microwave simple, reliable and easy to use. Dimensions: Size H30.6, W51.3, D42.9cm.